ABoards Kiteboarding 2014 online ! Boards from collection 2014 now shine also on www.aboards.eu! Great performance, bright and cheerful look, multiple styles – that all you can find in the newest ABoards Kiteboarding collection 2014. 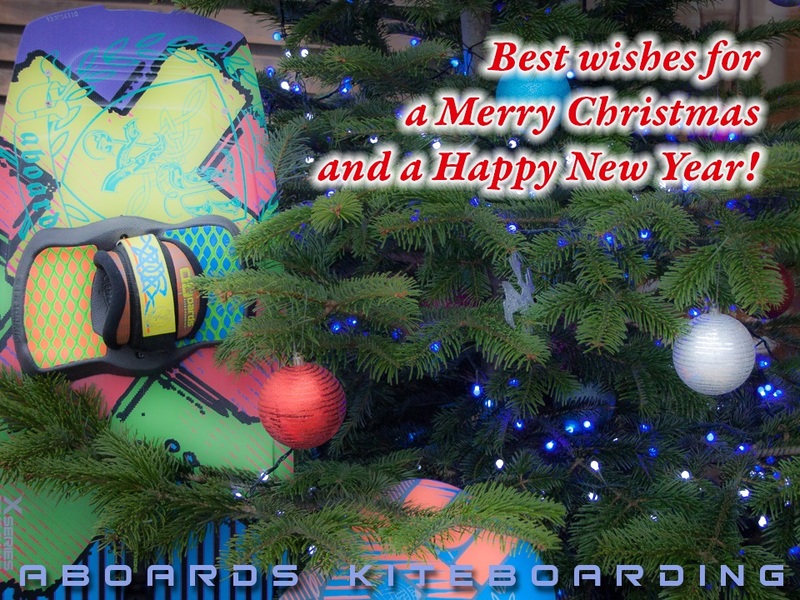 Welcome to visit www.aboards.eu to get closer look on the colorful & joyful boards collection 2014. We are sure that it will brighten up your day! Choose your board and turn to your nearest dealer or directly to ABoards on aboards@aboards.eu. The last but definitely not least kiteboard from ABoards collection 2014 is ready to be presented! Powered, aggressive, explosive – this is W-series! Wake-specific outline and rocker make W-series board great in pop, landings and chop. Reinforced wood core, rails and bottom sheet will ensure necessary strength and durability for aggressive tricks and riding on constructions. With boots or pads, with kite, behind the boat or on cable – choose whatever you wish for excellent performance and style, because W-series 2014 is designed for real wakestyle riders. Go and meet it! Ask for W-series 2014 to your local dealers or turn to aboards@aboards.eu. Great all rounder Flip 2014 is here! Flips construction makes this kiteboard excellent fit for various conditions. With Flip kiteboard you don’t need to worry about staying upwind and can get fun by doing various tricks. Furthermore Flip’s ability to forgive mistakes will allow to learn new tricks quickly, this makes Flip great kiteboard for all skill level riders. Schools especially will love durability characteristics provided by 100% wood core. Simplicity is genius – due to its outline, medium rocker and flex this wonderful all-round kiteboard will provide everything what’s necessary for easy and fun riding! 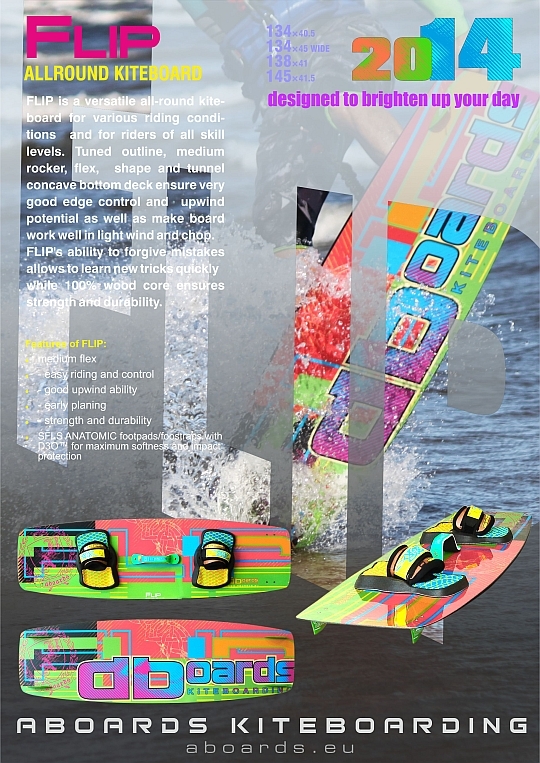 Ask for Flip 2014 to your local dealers or turn to aboards@aboards.eu. 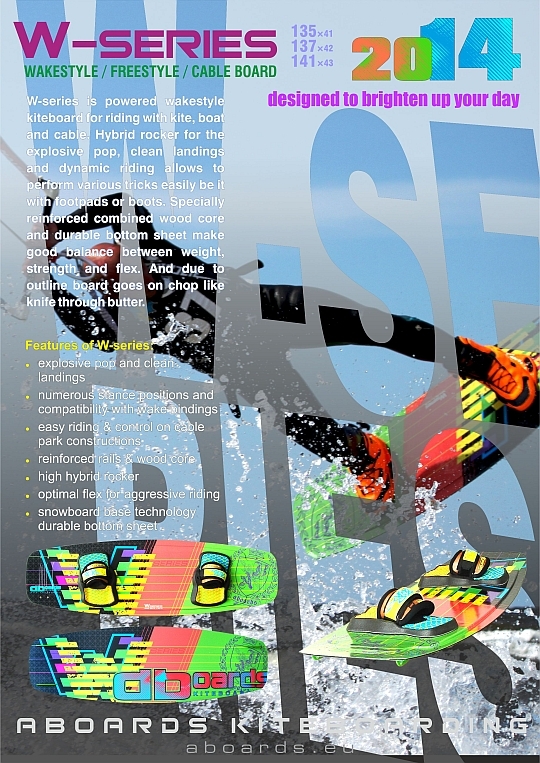 Welcome to meet new even more improved brilliant freestyle kiteboard X-series 2014! Excellent choice for dedicated freestylers who want to make various tricks easily; but don’t be afraid X-series kiteboard also will be great companion for those who looking for progress. 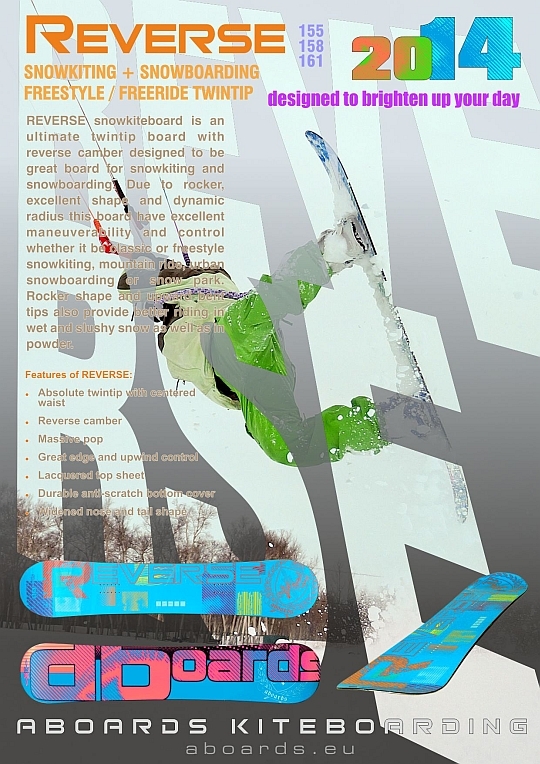 Compatibility with wake bindings and massive pop looks in the direction of wakestyle as well. Everything what is needed for excellent freestyle Kiteboard – high maneuverability; dynamic rocker; massive pop; good in chop; medium flex and more advantages – if you love freestyle it just can’t leave you indifferent! Welcome to get introduced with X-series 2014! Ask for X-series 2014 to your local dealers or turn to aboards@aboards.eu.